There are many new developments in the area of stormwater management and treatment [44,45,52-61]. A useful guide for dealing with the stormwater management permit program has been developed by Barron . Coppes and LeMire  suggest many solutions to stormwater management by combining both technology and regulations. Treatment of stormwater at airport terminals is reported by the editor of Public Works , while treatment of combined stormwater and wastewater at oil company is reported by Wang [52,60]. States, has realized the benefits of proactively addressing its stormwater treatment problems . The city has used the inline stormwater treatment facility to protect its area surface water successfully. Chemical flotation treatment: Sodium aluminate, 15 mg/L as Al2O3, and either ferric chloride or ferric sulfate, 15 mg/L as Fe. Sand specification: ES=0.85 mmn, UC=1.55, depth=11 in. Source: Ref. 52. Contech Construction Products Inc.  has built an underground stormwater detention for the University of Illinois at Urbana-Champaign (UIUC), in Illinois. Boneyard Creek regularly flooded parts of the UIUC campus. As part of the design-supply team to bring Boneyard Creek under control, Contech supplied nearly 9300 ft of 96 in. diameter Aluminized Steel Type 2 corrugated pipe for a subsurface drainage system and stream enclosure. Now, a multi-use corridor has been reclaimed from the Boneyard that includes a park with bikie trials. Loudon County, Virginia, United States, is taking a different approach to its quality assurance program , and is developing a storm sewer inventory GIS from a GPS field survey. Its quality assurance program will ensure an accurate stormwater GIS. Klahn examined the top issues in water quality in 2003 . The US Environmental Protection Agency (USEPA) has proposed modifications to its Sanitary Sewer Overflows (SSO) rule, addressing the issue of capacity and notification in the event of an overflow, as well as limitations on enforcement. The USEPA has estimated that there are over 40,000 overflows of sanitary sewers each year. Without a permit, these types of discharges are prohibited under the Clean Water Act. Municipal sanitary sewer systems holding SSO permits are often subject to enforcement actions for overflows that exceed the scope of their permits. The EPA has acknowledged that many municipalities have vastly undersized sanitary sewer systems. The new proposed rule maintains the requirements for permits that include technology-based effluent limitations and addresses the issues of sewer system capacity, operation, and maintenance. One USEPA estimate suggests that municipalities will need to spend between $93.5 million and $126.5 million each year to accommodate the proposed rule changes. Funding acquisition for this is undetermined and this funding gap has been the subject of congressional hearings and analyses from both inside and outside industry. The USEPA has also announced that the rule will address local conditions and allow each region to set up an SSO enforcement structure so that municipalities can avoid enforcement actions from overflows beyond their control. The EPA expected to publish the rule in the Federal Register during the fall of 2002 and begin the public comment period. Although the rule is specific to SSOs, the agency is also seeking comment on the application of the SSO rules to Combined Sewer Overflows (CSOs). The issue of Concentrated Animal Feeding Operation (CAFO) has also been reported by Klahn . The USEPA has also taken up modification to CAFO regulations. 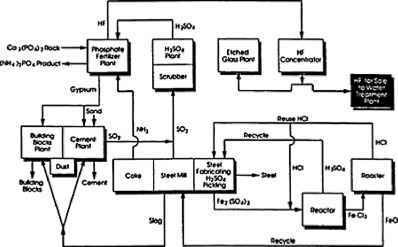 In January 2001, the USEPA proposed two rules, one that addressed CAFO operations regarding manure and other process waters, and another that established CAFO technology-based treatment requirements for feedlots. In the first regulation, the USEPA proposed changes to the definition of CAFOs, changes to the means by which CAFOs could land-apply manure and other process waters, changes requiring processors to be co-permittees, and changes to ensure public access to information regarding CAFO permits. In the second regulation, the USEPA proposed certain minimum types of practices, such as containment pond construction and setback requirements, to avoid contamination of groundwater with CAFO wastes. USEPA is also considering the merits of a suggestion that livestock producers who adopt voluntary performance standards, equivalent to best available technology, could opt out of regulation altogether. As comments and supporting data were received, the USEPA amended its analytical approach and thus modified its economic and financial analysis of the impact to industry from the regulation. The agency issued a final rule in early 2003. Several states have substantively addressed CAFOs with more restrictive regulations than those proposed by USEPA . Get All The Support And Guidance You Need To Be A Success At Understanding Waste Management. 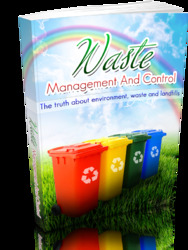 This Book Is One Of The Most Valuable Resources In The World When It Comes To The Truth about Environment, Waste and Landfills.